One of the reasons Donovan McNabb is such a significant upgrade at the QB position is his ability to LEAD. There is leading by example, doing whats asked of you from the staff and executing… but then there is going the extra mile and taking it upon yourself to work individually with your teammates to ensure the best possible opportunity for success. Enter “Hell Week” for the Redskins receivers, an annual private workout in Arizona run by Donovan McNabb himself exclusively for his receivers to get everyone jelling and on the same page before training camp. 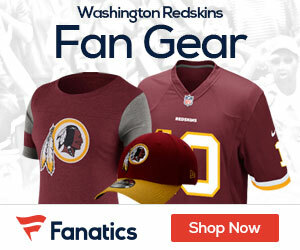 You know, it’s that exact sense of leadership and personal responsibility to your Redskins team in the wake of Haynesworth-gate is what seperates McNabb from the rest… and coming from D.C. it’s extremely refreshing – particularly for a player who not a year ago was lining up against the very players he now hopes to mentor. Donovan McNabb, like him or love him ( I can’t imaging anyone hates him in D.C. right now), McNabb is a class act, a model NFL player, a true leader. The Redskins will open training camp in Ashburn, Virginia, on July 29, but Donovan McNabb and some of his teammates are getting a head start. Rick Maese of the Washington Post reports that receivers Devin Thomas, Santana Moss and Malcolm Kelly are among the players who have accepted McNabb’s invitation to spend this week in Arizona for an intense series of workouts in the desert heat. For some players, a week of relaxation might make more sense than a week of hell right before the start of camp, but Thomas is among those expressing excitement at the opportunity to get extra work in.